Summary: “In the beginning, God created....” Not long afterwards, as Satan led Adam and Eve to shatter their relationship with the Lord, the entire Creation was fractured. Our first parents were driven out of the Garden after hearing only the most bare-bones promise that God would use the woman’s Seed to execute judgment upon the Tempter. As centuries and millennia passed, He gradually filled in some of the details, both how He would accomplish this purpose and what it would finally entail. Isaiah gives the most complete glimpse: Not only would the power of evil be forever broken but God who had created the heavens and the earth would make them anew. This New Creation would be peopled by new creatures — redeemed sinners who trusted in His promises and thus received His blessings. Paul tells us that already, before the End of Time, we Christians are made a new creation in Christ Jesus. Our sin-sick, festering natures are clothed in Christ’s righteousness. 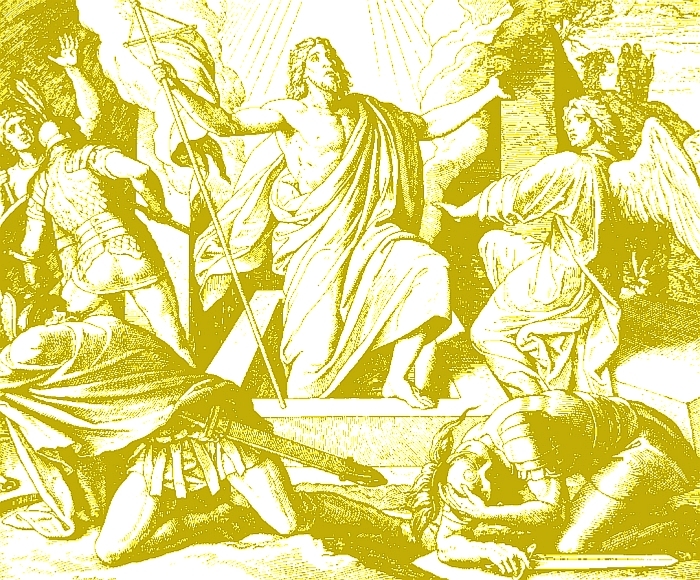 In Christ, we are hidden from divine judgment, for this judgment already fell on the sinless Son of God. We await the Last Judgment with expectant hope and boundless joy, for we know that what we are now by declaration we will then be in complete nature. The One who was made sin for us made us new by water and the Word and through His Gospel and Sacraments continues renewing us until the fulness of the New Creation dawns and He returns to welcome us into our eternal home. His Son destroyed our grave. To all He brings to heav’n. The New shall never wane. Text: Therefore, if anyone is in Christ, he is a new creation. The old has passed away; behold, the new has come. Audio: Click to hear the MP3 of In the (New) Beginning: A New Creation. 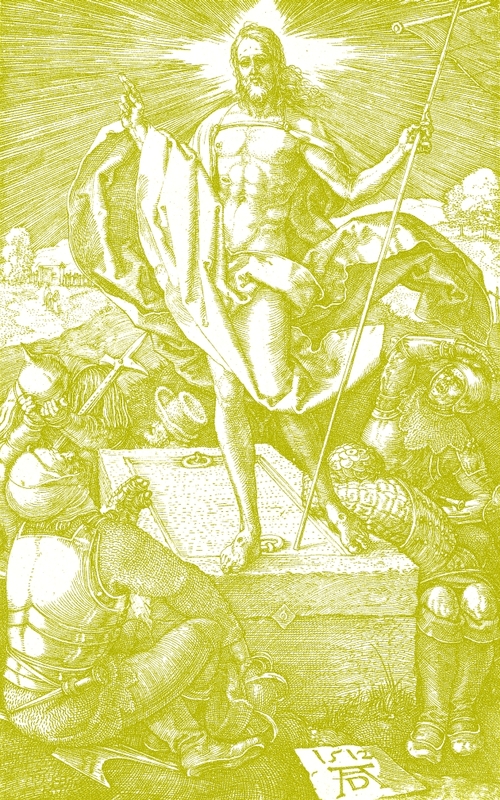 Illustrations: Christus Victor from Die Bibel in Bildern by Julius Schnorr von Carolsfeld and the Auferstehung (Resurrection) picture from the Kupferstichpassion (Passion engravings) by Albrecht Dürer, both at Wikimedia Commons.